Today’s business landscape is ever-changing, making it critically important that everyone perform at their best, especially in terms of creativity, innovation and breakthrough thinking. But as business continues to evolve at an accelerated rate, management and leadership often tends to focus only on the ‘here and now’, surviving day to day. Good leaders know how to do more than just survive. They have the flexibility and foresight to look further down the road, making them more prepared to navigate the bumps and obstacles along the way. In this session, learn how to move from just surviving to thriving in your leadership role. Learn how to be a resilient leader and how to look ahead and how to support and motivate your team to perform at high levels and apply their best effort. With superior leadership, work passion, customer devotion, productivity and overall morale increases which has a direct impact on a company’s bottom line. 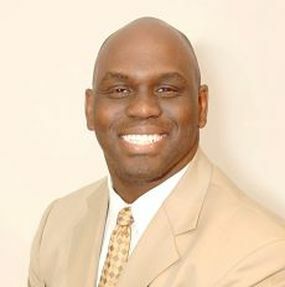 Corey Atkinson is a sharp and seasoned training specialist who exemplifies leadership in all walks of life. As a senior consultant and facilitator with Cutting Edjj Consulting, Corey works with clients to improve their leadership skills, to enhance their clients’ customer experience and strengthen their service skills. With extensive experience in leadership, customer service and business development, he focuses on supporting others to become great at what they do bringing the business of life to the business of work.